Age 81 of Sharpsburg, on Monday, December 3, 2018. 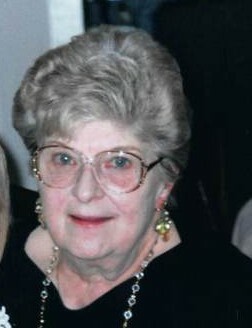 Beloved wife of the late Edward J. Echnat. Loving mother of David (Jana), Stephen (Jennifer) and Kenneth (Michelle) Echnat; cherished grandmother of Sean, Jessica, Brooke, Blair, Reed, Isabella and the late Katie Echnat. Friends received Thursday, December 6, from 4-8 p.m. at WEDDELL-AJAK FUNERAL HOME, 100 Center Ave., Aspinwall, where a parting prayer will be held Friday, 9:30 a.m. followed by a Mass of Christian Burial at 10 a.m. at St. Juan Diego Parish in St. Mary Church, Sharpsburg.